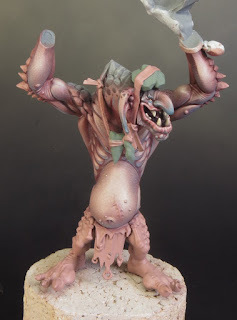 When Games Workshop (GW) released their new plastic Rockgut Troggoths I knew straightaway that I would paint one. 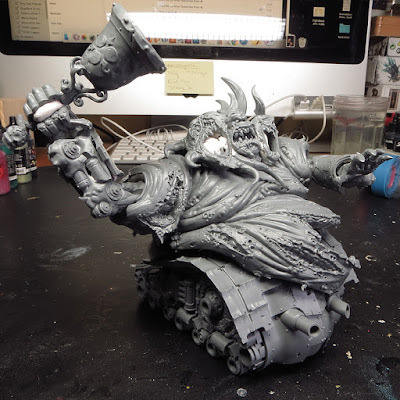 For one thing I wanted a painting project to work on while I was engaged in the construction of my Nurgle tank. An even better reason is my forthcoming weekend at Element Games and these models are perfect for a painting workshop. But, in truth, the main reason these models grabbed my attention was that one of them was an old friend! Believe it or not I’ve a great liking for Trolls and in my early years of painting I built up quite a collection. That reached a climax of sorts in 1987 when I entered my most recent Troll into the Golden Demon and won Gold in the monster category. That particular Troll was poised with a rock over his head ready to hurl it at some poor unfortunate. It’s a model that’s cropped up, in one form or another, a few times over the years and the latest incarnation is included among the new Rockgut Troggoths. 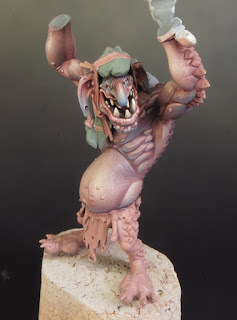 I’m very fond of my old Troll and even though I painted him a long time ago I can remember doing so quite clearly. I think that’s because I began to develop the approach to painting that has, ultimately, led to my current style with this model. This is the first model painted by my adult self and, although I had a long way to go, it has the foundation of what was to come in terms of materials and techniques! 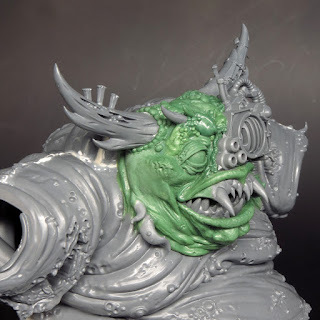 As with my Nurgle Tank I thought it would be an interesting, and fun, project to revisit this ‘old friend’ and see what I would do with him in 2019 compared to 1987. The new model is plastic and compared to the old metal mini that makes a world of difference. 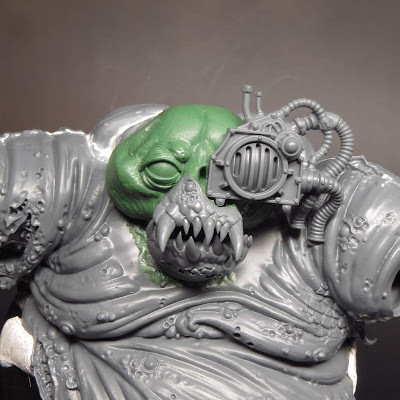 Once again GW have knocked it out of the park with the sculpt. Unlike the old mini the new ones are multi-part and require construction. Prep is my least favourite part of the process but it’s crucial because any corners cut during prep will come back to haunt you during painting. The new models have multiple assembly options that can create a surprising range of variants! The down side of this is that the assembly is a little more involved than I like. The kit had quite a few seams to fill although none were especially difficult. 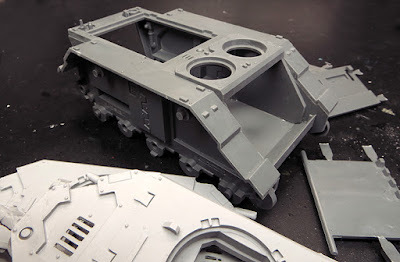 GW had managed to put most of these in the creases and natural seams between the various parts of the model. I decided to use Mr. Disolved Putty to fill the joins and, once sanded, it did the job admirably. 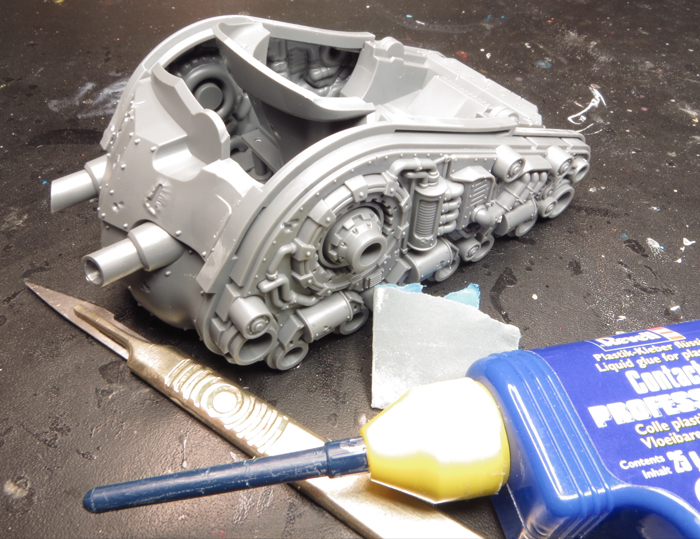 A liquid filler can be a bit messier to use than a putty, but it's easier to get it into fine gaps. With all the prep done my Troggoth was ready for some paint, so I had to make some choices about a colour pallete! Hobby Update ... What Sproket did next. Not so very long ago I’d resigned myself to a quiet low-key sort of year for my hobby. I’d had to cancel a couple of workshops while my partner Mark was recovering from his illness and it didn’t look very likely that I would be making it to any painting competitions either. I was OK with this; after all you need to get your priorities in order. The unanticipated benefit was that I became totally free to paint for the love of painting again and, as I gradually get back up to speed, I’m finding that extremely rewarding. But now I suddenly find myself with lots to talk about because over the last few weeks the pace of life has really picked up! I’m planning to revisit some of these topics in more detail in subsequent posts. But for the time being this is a round up of sorts, to get this blog up-to-date, before things move on any further. I’ve been associated with Artis Opus for about a year now as one of their ‘signature’ artists. This means that I’m among a group of well-known painters who have been using their brushes and have agreed to lend their names and reputation to promoting them. I do that because I really do use Artis Opus brushes and I think they are excellent. A few weeks ago Byron from Artis Opus contacted me with a very interesting proposition. He’s been working on a new range of brushes (series D) designed specifically for dry brushing. 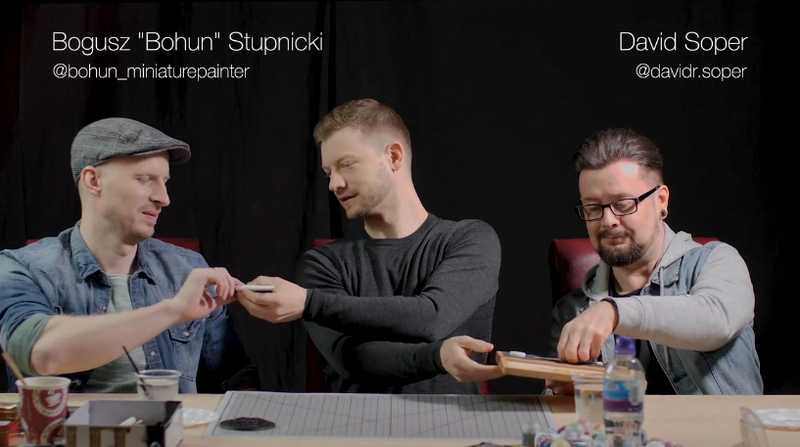 Byron wondered if I’d be willing to try the brushes out ‘on camera’ as part of the promotion for the new kickstarter campaign. Now I’ve always been a ‘fan’ of dry brushing and feel it’s much maligned in some circles. So I agreed to go up to Stockport for a day of filming. I had a bit of an ulterior motive, as this would give Mark and myself the opportunity to have a little break. Since Mark left hospital we’ve been restricted in how far we could travel or how long we could stay out. But we felt the time was now right to be a bit more adventurous. If you can really call Stockport adventurous! The weekend was a great success on all accounts! Mark coped well with the travel and unaccustomed activity and I had a great time painting and filming. Not least because I was filming alongside Bohun an artist I’ve long admired. 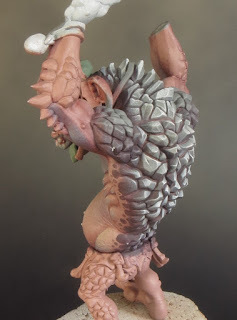 I’d anticipated a day of dry brushing but what I actually got was the chance to see Bohun’s individual take on the technique and have my mind opened to it’s potential which goes well beyond my own rather pedestrian notions! I will definitely be posting more about dry brushing and series D in the near future. You can find the kickstarter here. As the trip to Stockport went well we decided we could venture out again and the most obvious thing was a trip to Salute 2019. Unfortunately when the day came I had a bit of a cold and really wasn’t operating at 100% but we’ve done Salute enough times now that it has the ease of familiarity. We both found the day extremely tiring but were glad we went. It was so good to see old friends and acquaintances and in many ways the day felt like a return to ‘business as usual’ after a long interruption. Of course one of the main reasons for going to Salute was the painting comp. My choice of entries was limited to two. My Isharan Tidecaster and my Sloppity Bilepiper. I was well aware that this might be my only painting comp this year so my choice was an important one. I’m very pleased with both minis but unfortunately they were eligible for the same category so I had to choose. In the end that was fairly simple as I think the Slopity Bilepiper is the stronger of the two. 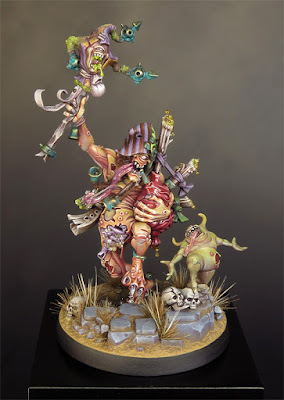 It’s the model I painted to get back into my hobby and I lavished a lot of time and attention on it. As a result I’d been able to finesse the details to a high standard and it was the mini I was most confident about. This isn’t to say I’m not pleased with the Tidecaster but I think she will benefit from a few tweaks. But that’s for another day and, maybe, another painting comp. As I said I wasn’t quite feeling 100% and I managed to miss the start of the awards ceremony for the comp. 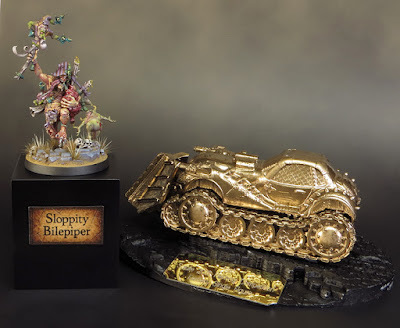 That definitely wasn’t very cool because my Sloppity Bilepiper won Gold in Fantasy Single Figure and I missed the announcement! In spite of that I’m very happy with the result and glad I chose the right mini on the day! Now it’s time to look ahead and to something I’m eagerly anticipating! 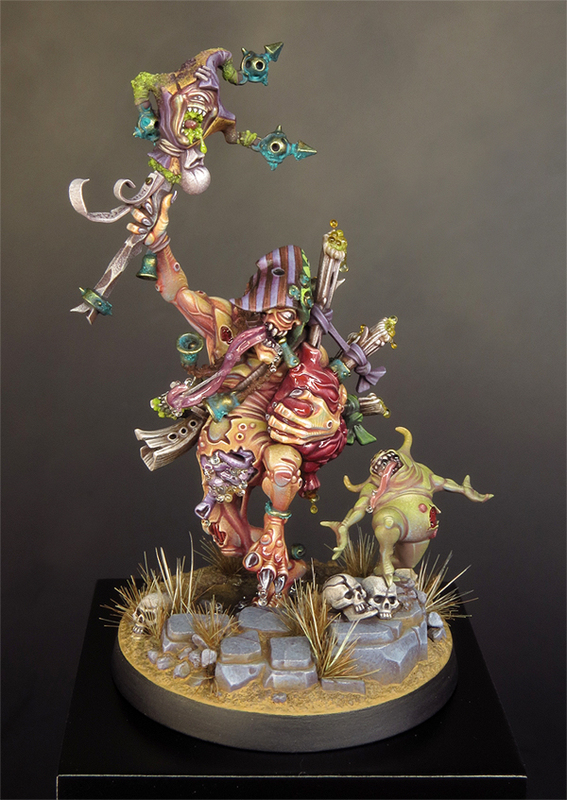 On Saturday 1st and Sunday 2nd June I will be returning to Element Games to run a painting workshop. 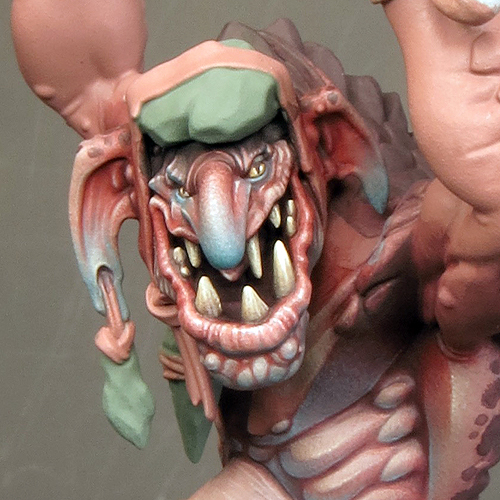 I had several ideas for a subject model but the new Rockgut Trogoths from Games workshop are ideal. There will, of course, be the chance to explore the painting of textures and ‘lifelike’ flesh tones but these models also offer the chance to get to grips with painting volumes and forms in a way that many smaller minis don’t. 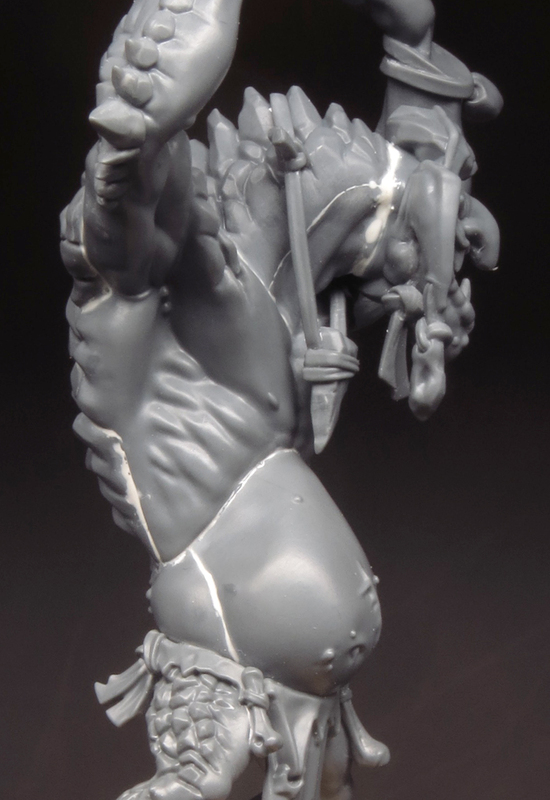 I’ve been busily preparing for the workshop and my own take on a Rockgut Trogoth is coming along rather nicely. Booking details will be available from Element Games very soon and I’ll publish them as soon as they are confirmed. As I said in my last post I toyed with the idea of using the heads from the plastic Great Unclean One on my new demon Engine. To be honest this was down to a lack of confidence in my sculpting abilities. A triple headed demon was not without some merit, but it was never going to be the solution for this project. 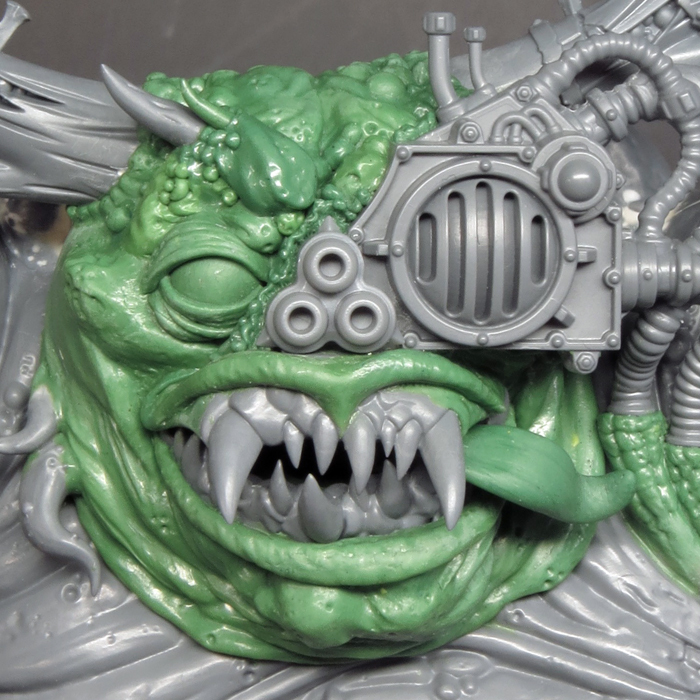 Deep down I always knew I was going to have to sculpt a head if I wanted to stay true to the spirit of the 1990 tank! Trying out three heads also made it very clear to me that the new head needed to be much larger than those from the plastic kit. On my old tank the head was formed from the gun turret and I definitely wanted a new head of similar size and bulk. I’ve not really sculpted anything since I started painting minis again in 2010. But in the years immediately prior I’d begun to explore sculpting in some depth. 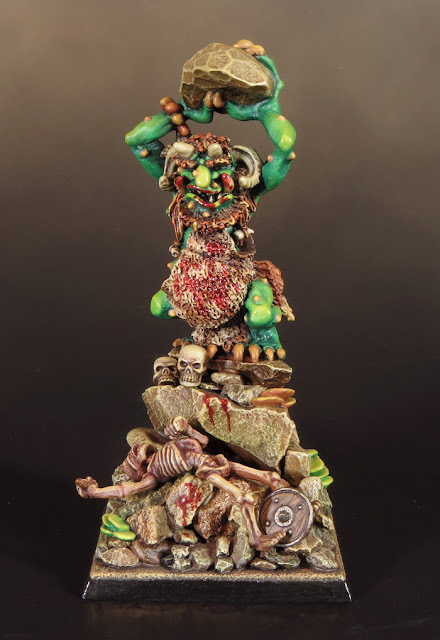 In fact it was my venture into sculpting that led me back to mini painting. 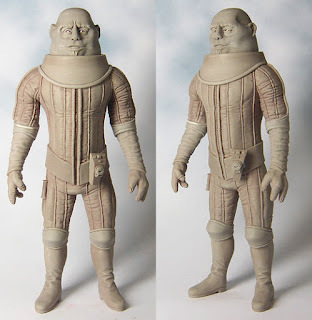 I got into customizing Dr Who Action Figures and rapidly became dissatisfied with simply chopping and swapping various parts. 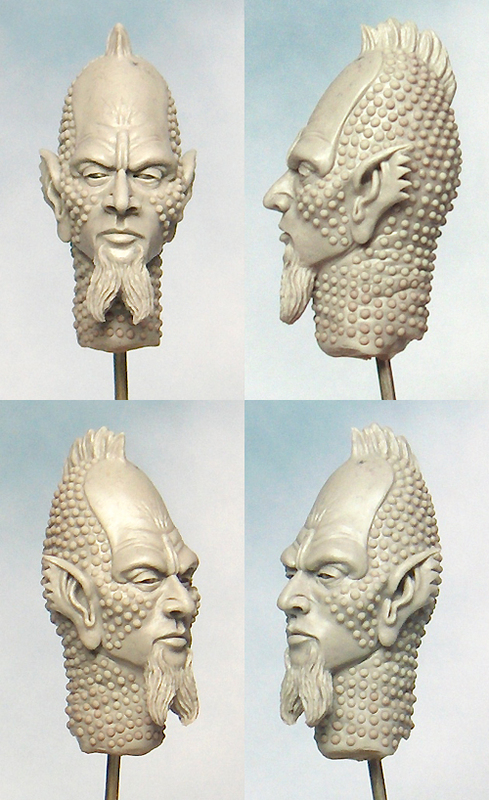 Over time I developed some limited sculpting skills and familiarized myself with the materials and techniques. My venture into sculpting enabled me to make my own figures but as I was sculpting ‘action’ figures their poses were very stiff and static. The examples above show how far I had come and in time I might have further developed but one thing led to another and mini painting reclaimed my full attention. So there I was having decided to resurrect my sculpting skills and feeling more than a little daunted. At that point it struck me that I really had nothing to lose. If it all went wrong I could bin it and start again and in the worst case I could explore the triple headed option. My inhibitions had been born of a fear of failure but I now felt perfectly happy to give it a go! I ‘d gravitated towards this polymer clay as the default for my action figure sculpts. It remains workable until baked but, even then, it can be added to and re-baked. In addition, I’m not allergic to polymer clay. The great advantage of milliput is that once set it can be easily sanded, carved and drilled. It responds very well when mixed with water and can blend seamlessly with other materials. Unfortunately milliput triggers my allergy, and if it touches my bare skin, I will blister in a few hours. 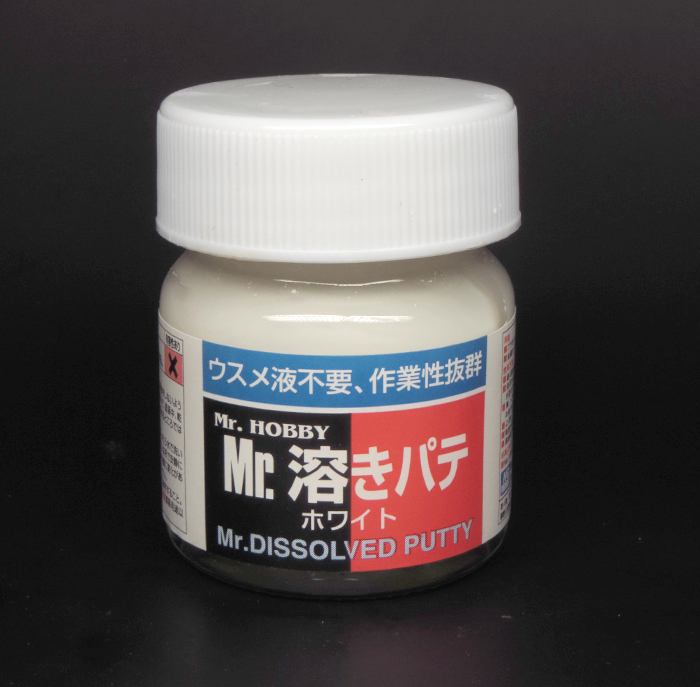 This is very soft and sticky when first mixed and as it sets it becomes firm but flexible. It never becomes totally hard and can be tricky to sand or carve. Greenstuff can also prove difficult to blend into other materials. If I handle greenstuff with due caution I suffer only minimal effects at worse. 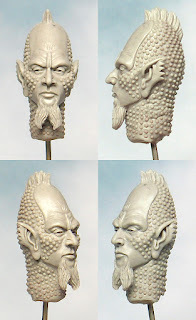 I would have liked to use Super Sculpey but because I would be incorporating elements from plastic kits into the head this ceased to be an option. Plastic kits and hot ovens do not mix! 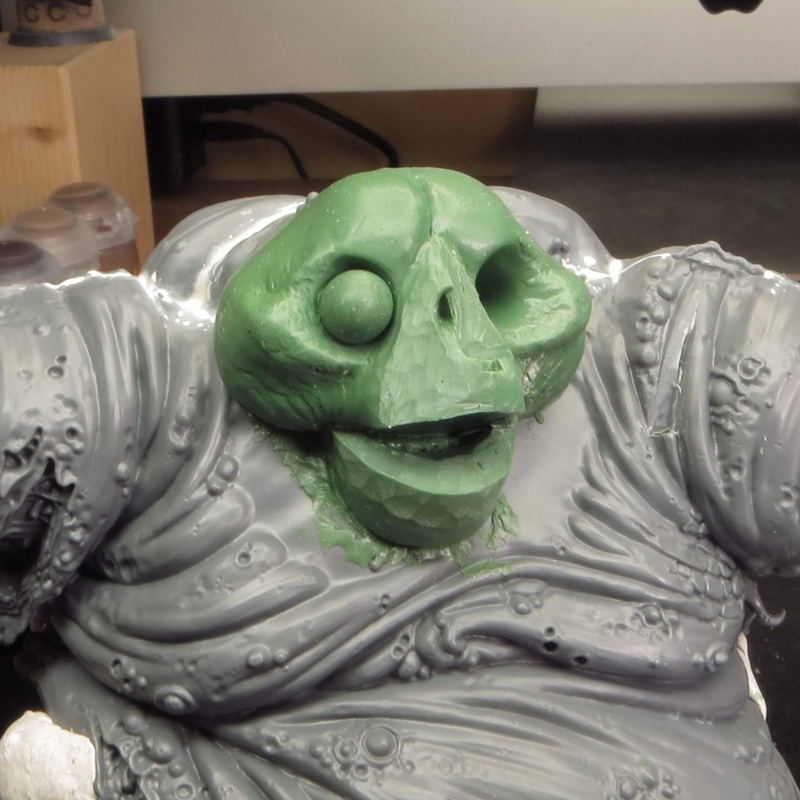 Therefore I decided to use Greenstuff to sculpt the head. Greenstuff has the added advantage of being good for creating soft fleshy textures and organic forms. I’ve found it best to work in stages allowing each stage to firm up before I work on top of it. This prevents the problem of overworking the forms and flattening out the volumes. It also provides a stable surface to work on. There is nothing worse than perfecting one side of something only to find that you have also pushed out and distorted the opposite side! To begin this process I needed an armature to support my sculpting. In this case the best armature for my head would be more than a little like a skull. This gave me a solid foundation to work on and provided an underlying structure for the muscles and flesh. The face was then built up in several stages incorporating the plastic elements as it developed. At times I needed to sand the Greenstuff and this can be a problem. As it remains slightly soft and flexible Greenstuff can sometimes go rough, or even tear along its edges, when sanded. I’ve found that wet sanding almost always overcomes these problems. I use a waterproof (silicon carbide) sandpaper and gently work down from P320 to P2000. This also works well for sanding resin and plastic.